Studley mistook the Chrysler Building for an ear of corn. The University of Iowa’s loss in the National Invitation Tournament has been blamed on the absence of stellar senior Whitman Studley, who missed the game while attempting to shuck the Chrysler Building. Studley apparently mistook the iconic piece of the New York City skyline for a large ear of corn. This past Thursday, Baylor University’s Men’s basketball team was crowned champions of the NIT in New York City’s Madison Square Garden, defeating the University of Iowa 74-54. Studley, Iowa’s top scorer and rebounder, missed the entire game. The prolific power forward was found on the 29th floor of the Chrysler Building while the game was still in progress. Studley was attempting to shuck third tallest building in New York City because he apparently thought it was a massive ear of corn. “The corn shortage brought on a good hard fay-mine. Daddy said our struggles were cuza those fy-nan-seers in New York City,” said Studley, speaking outside New York City Criminal Court on Monday morning, ignoring his court-assigned lawyer’s advice that he stop talking. “So logicallism sujest they turned hundereds of corns into one big un and put it right der! THEY TOOK ER CORN!” he continued. “Whos diss booknerd who wont stop boderin me?” Studley added as his lawyer fell over trying to push him off the court steps. Minutes after scaling, evaluating, and finally taking a shucking knife to the building, Studley was arrested by FBI agents. This comes just two weeks after dozens of University of Maryland students were arrested for rioting in New York in the wake of UMD’s Atlantic Coast Conference Tournament upset of Duke University. 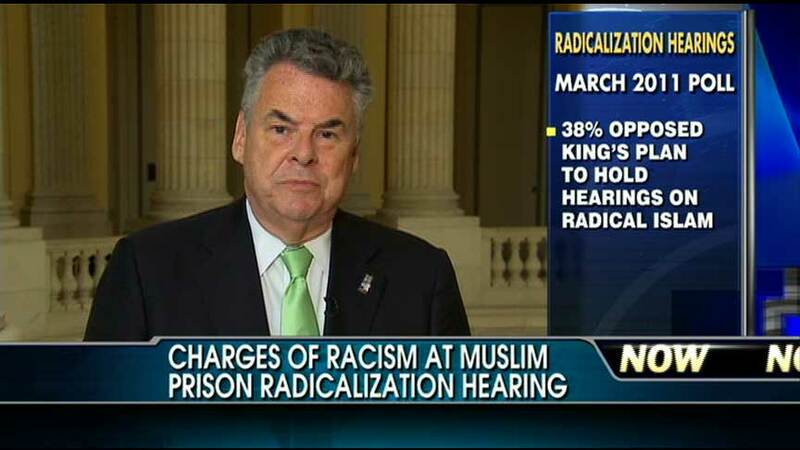 Rep. Peter King (R, NY) declaring “government cash” and “muslim students” should be mutually exclusive options for public universities. The CIA has reportedly taken University of Maryland President Wallace Loh into questioning, owing to his affiliations with both UMD and the University of Iowa, where he used to be provost. Sources from inside the CIA (and we have loads of them) suggest Loh has been identified as the center of a massive international conspiracy. We’ll have more on that soon. “At least dey gonna be corn dis year!” said Studley later on Monday, driving a wobbly Hawkeye team RV out of the Staten Island Hurricane Sandy Relief Shelter.